Sure, your base layer may be covered by a jacket on the slopes. But when it’s time to shed your jacket for the day, nothing goes from day to après better than the Bogner Beline 1/4-Zip Mid-Layer. 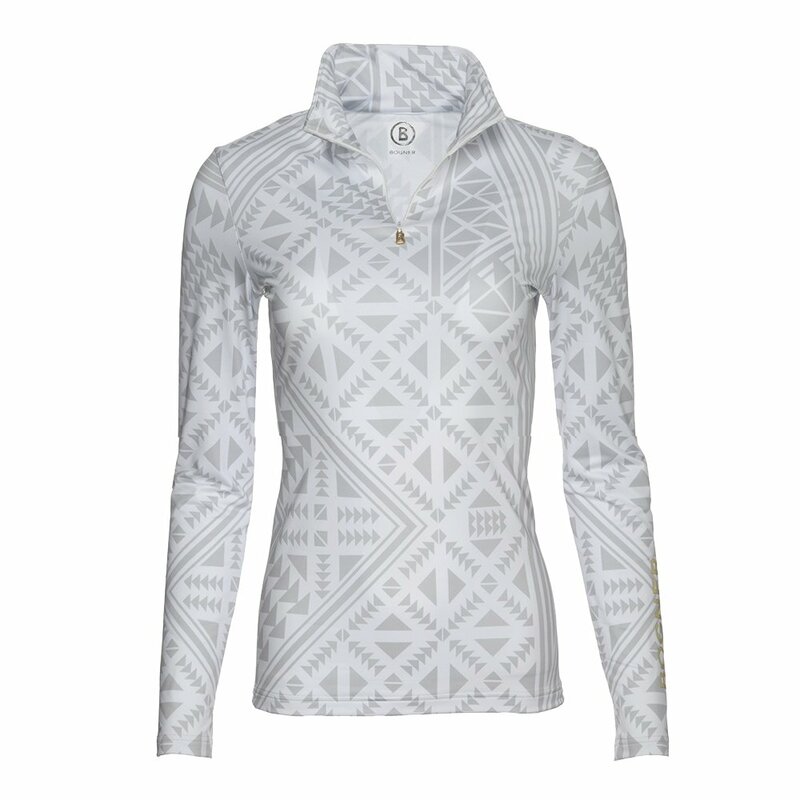 This women’s ski mid-layer has a super-modern geometric print that will definitely stand out on your next ski trip. And since it’s made from a poly-stretch fabric, it’s comfortable for hours on end. The Bogner Beline 1/4-Zip Mid-Layer also has a zipper on the chest, perfect when you break a sweat after a day of exploring the mountain.